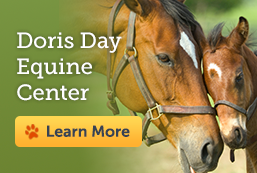 Equine Center The dream of two longtime friends, the Doris Day Horse Rescue & Adoption Center opened with 100 mustang rescues in residence. Duffy Day Lifesaving Program Providing funds for extraordinary costs associated with giving a second chance to senior and special-needs animals that would otherwise be euthanized. UC Davis Scholarships Founded in memory of Doris' beloved son Terry, these endowed scholarships benefit vet-med students specializing in shelter medicine. Recent Grantees We're delighted to introduce you to just a few of our latest grant recipients and the wonderful work they do. 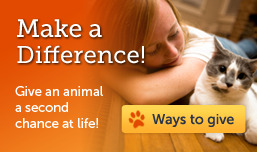 Other Projects We explore hundreds of opportunities to do good work on behalf of the animals. Learn more about some of the special projects we've undertaken.